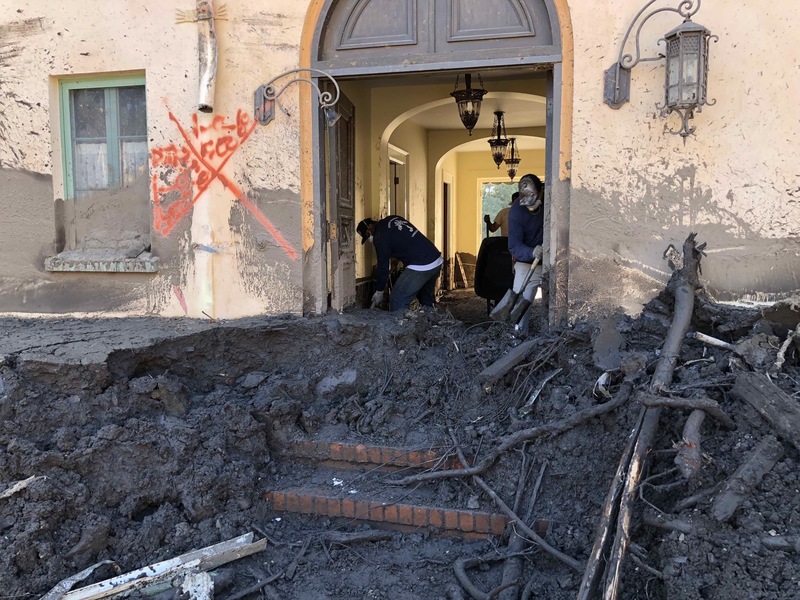 It’s been nearly six weeks since the catastrophic 1/9 Debris Flow destroyed hundreds of Montecito homes, some of them belonging to a few of our longtime clients. As authorities started lifting evacuation orders, we accompanied homeowners fortunate enough to have homes to return to. All of us were entering new territory, and it was difficult to comprehend the magnitude of the mudflow and the wreckage left in its wake. While some of our clients had just a few inches of mud in the driveway, others found their properties buried four feet deep across multiple acres. Either way, it was time to get to work. All of us together, learning as we go. 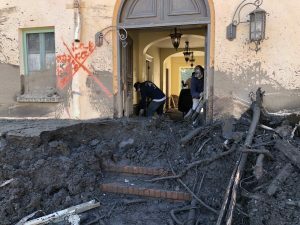 The first order of business, in some cases, was to call in heavy machinery to clear access paths from the street to the garage, front door, and around the home. This made way for licensed professionals to access the systems, such as power, water, gas, and sewer. We’ve been able to shore up structural instabilities, and send in hand crews (pictured above) to dig out mud from inside a home, being careful to remove it from the exterior of the wall, as well, so that pressure is relieved equally. We’d like to thank the structural engineers out there for that safety tip. 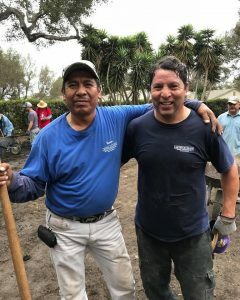 Shovelful by shovelful, truckload by truckload, greater Montecito is slowly returning to some sense of normalcy. Just getting started was a huge step psychologically. Every little bit of progress is progress. Sure helps that the people of Montecito and beyond are banding together (below) to take on the heavy lifting, in all its forms. It takes a community to rebuild a community; we’re just getting started.